Stadium Theatre Restoration | John Canning & Co. 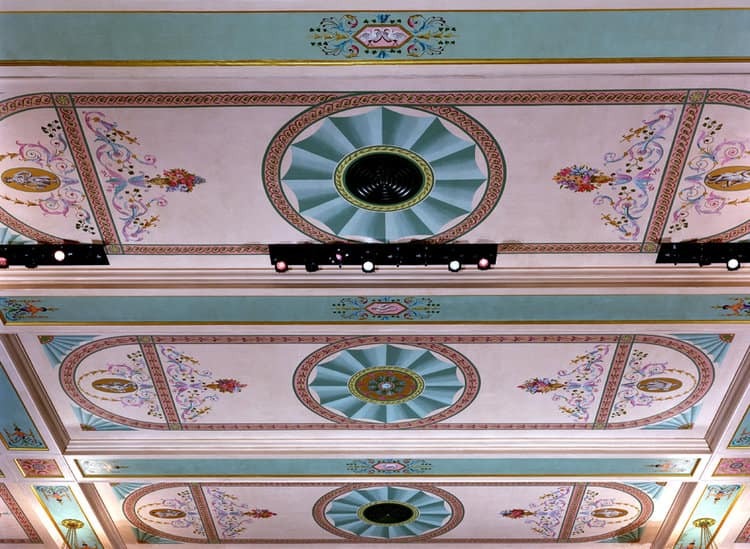 The John Canning Co. was the restoration consultant and specialty contractor for the historic Stadium Theatre decoration and finishes. 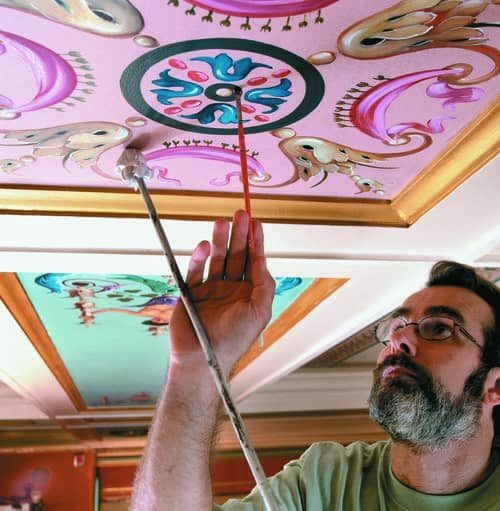 This included coordinating all work and trades for the restoration of the ornate and vibrant Adamesque style interior. 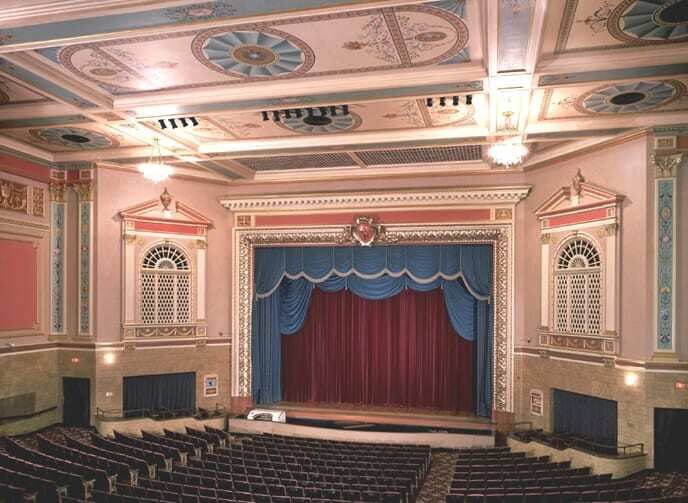 The John Canning Co. was the restoration consultant and specialty contractor for the decoration restoration of Stadium Theatre. 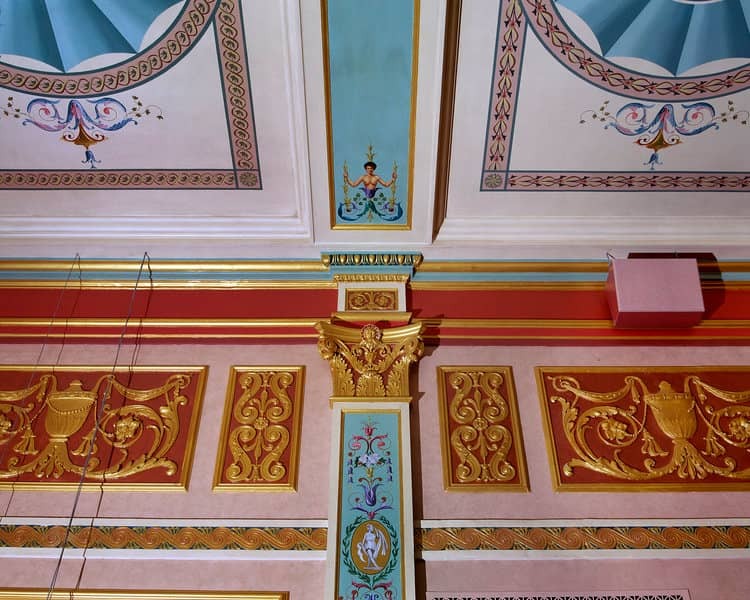 This included coordinating all work and trades for the restoration of the Adamesque style interior. Starting with a beige interior devoid of decoration and crumbling ornamental plaster, our historic research, mechanical exposures, scientific analysis, and interpretation revealed a densely decorated interior with figurative murals and opulent compositions of floral abstracts, flourishes, medallions, and swags painted in vibrant jewel tones and pastels offset with architectural gilding. 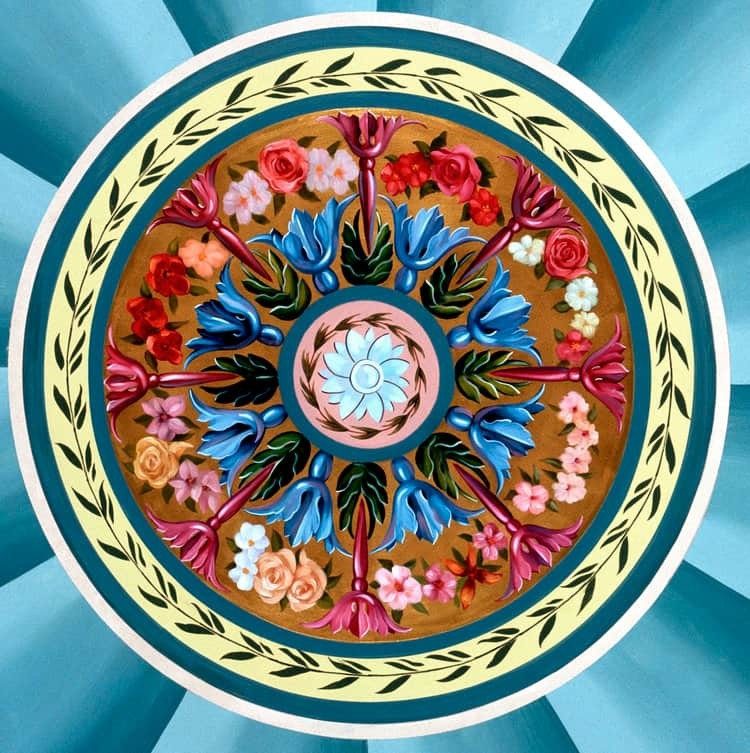 The original decoration was recreated, and a new mural was created for the foyer replicating the original artist's figurative style.